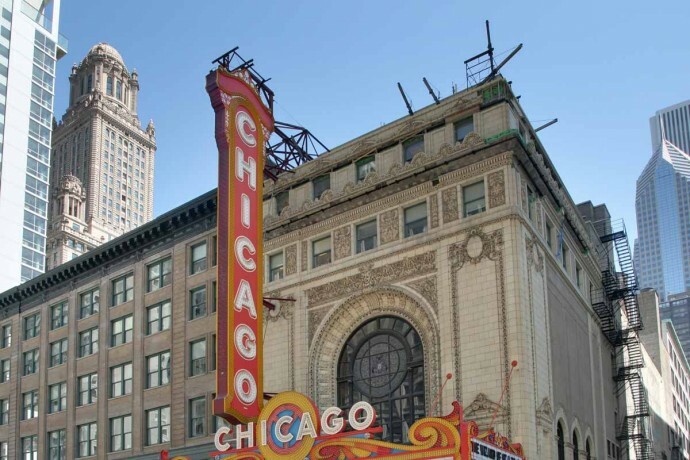 Chicago is a city whose bar scene is a consistently prominent aspect of its overall culture and history, with stories abounding of Prohibition speakeasies, blues clubs, shoreline hotel lounges, and, of course, bootlegging. The Windy City today is home to one of the most thriving and highly skilled cocktail scenes in the world. Talented young professionals work in electric new haunts in nearly every neighborhood, from Bridgeport to Rogers Park, utilizing modern equipment and today’s advanced techniques to create innovative menus with a level of frequency that’s shockingly routine. Almost weekly there are cutting-edge underground attractions—many of them signless—for the most in-the-know foodies and imbibers to sink their taste buds into, should they be lucky enough to get the info. This list is not meant to be a ranking or exhaustive compilation of the best cocktail programs or drink menus in the city, though the establishments mentioned happen to be some of the most awarded. Instead, this is simply a selection of our Chicago staff’s favorite retreats. Although many of our choices tend to be of a more “spirited” nature, there was only one rule we followed when selecting our picks: the bars had to be legal, public-access venues, which meant no private clubs or lounges were included. We also generally skipped over wine-only bars, as that’s a bit outside of our purview here at Bevvy. Be sure to check out our sister roundup for the best rooftop bars in Chicago. Now, without further ado, here are Bevvy’s picks for the best bars in Chicago. The Violet Hour, the 2015 James Beard award winner for best bar program, has had a profound influence on the cocktail scene in America’s second city, and maintains a legacy as a melting pot of innovative industry professionals. 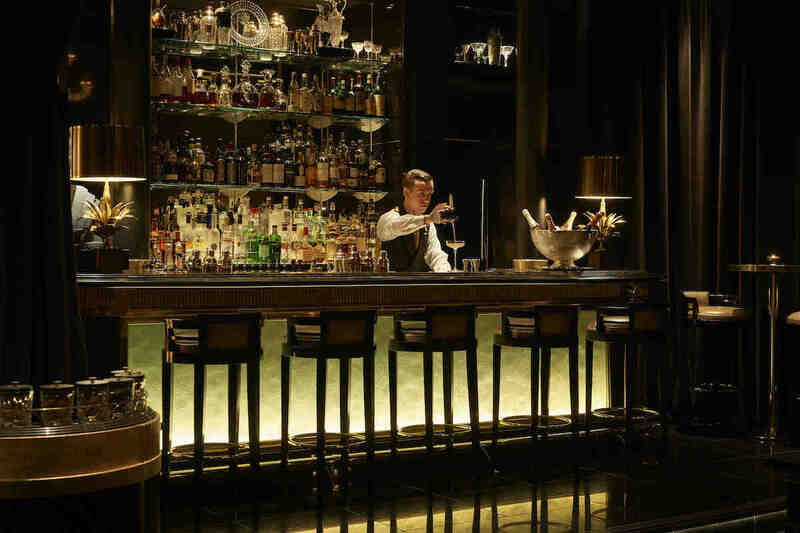 It produces some of the most genteel, highly sought-after cocktail menus in the world today, rotating every few months, consisting of innovative spins on classic recipes. The restaurant’s enchanting atmosphere is highlighted by the now famous high-backed chairs and tea lights, giving the room a luxurious, private feel. The Violet Hour does not take reservations, so look for the amazing mural out front and get in line early! Situated high in the Chicago skyline on the 18th floor of the Lavin Family Pavilion, overlooking Lake Michigan, sits GreenRiver, a 5-star restaurant and bar that is a collaboration between food and drink heavyweights Jack McGarry and Sean Muldoon (of The Dead Rabbit, recently named the best bar in the world), and Danny Meyer (Union Square Events). The name GreenRiver comes from a term referring to the Irish immigration that took place in Chicago in the 19th century, and each of the 32 original cocktails on the menu are named for Chicago’s most famous Irish-American residents during the period from 1870 to 1930. The bar program is helmed by young phenom Julia Momose, and this summer she’s moving the show outside to a massive deck space overlooking Chicago’s beautiful cityscape. 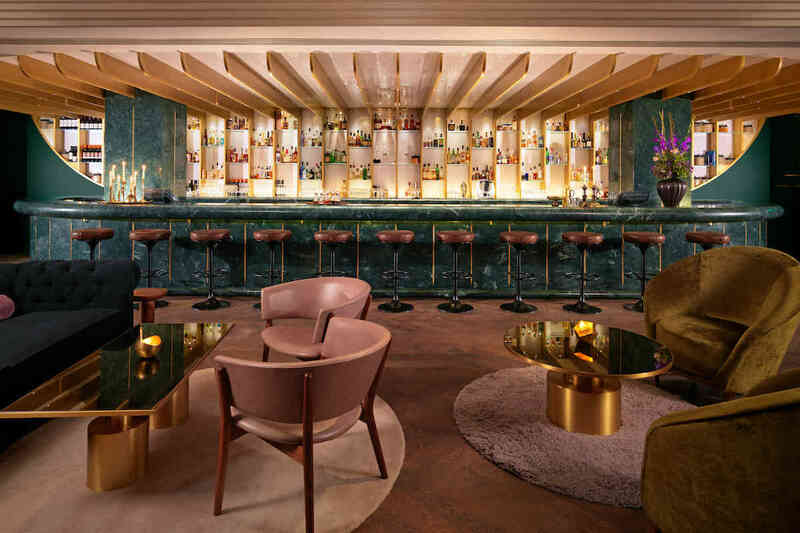 Located within the opulent Chicago Athletic Club, Milk Room is a reservation-only “micro-bar” that seats only eight guests at a time, and is the newest bar from Chicago’s most sought-after beverage director, Paul MgGee of Land and Sea Dept. (named Chicago’s Best Bartender (2010, 2011, 2013, 2014, 2015), The Chicago Tribune’s Beverage Professional of the Year (2013), Jean Banchet Best Mixologist (2014), and one of Chicago Magazine’s 100 Most Powerful Chicagoans (2015)). Cocktails here are created using unique, hard-to-find spirits, many from the ’50s, ’60s, ’70s, and ’80s—rare vestiges of eras long past. Be ready to open your wallet, though, because this experience can get pricey. A pour of the ’70s-era Chartreuse goes for $300 a pop. Delilah’s is every local’s favorite bar. Not only do they have the best theme nights in town, they boast an extensive list of over 750 whiskeys from 15 different countries, including some exclusive and vintage finds. While you won’t find a cocktail menu at Delilah’s, the staff is ready and able to make any of your favorite contemporary or classic recipes. It’s a little rough around the edges, which for us is a bonus. It has one of the best punk-rock jukeboxes you’ll ever find, and the door guy, although friendly once you get to know him, is right up there at “girlfriend’s dad” levels of intimidating. From one of America’s most revered molecular gastronomy chefs, Grant Achatz, The Aviary is a decadent cocktail lounge that has been inspiring the culinary world and cutting-edge bartenders for the last five years. From its perch in the Fulton Market District of Chicago’s West Loop, this high-end, reservations-only venue serves up experiences rather than cocktails. Drinks are presented in vacuum-sealed bags or with ingredients that slowly melt away, changing flavor while in your glass. While it may seem like a gimmick, these guys really know what they’re doing when it comes to drinks. Paul McGee’s time at Chicago’s Three Dots and a Dash propelled him into the limelight as a serious beverage director. His latest Polynesian-inspired cocktail bar, Lost Lake, displays what he perfected at his former gig, but this time with a grittier feel. Hungry patrons can order from an adjoining Chinese restaurant that’s a local favorite, and the food goes perfectly with your oversized tiki bowl. Scofflaw is the quintessential Logan Square cocktail bar. This remodeled corner bar has an intelligent and dedicated staff, and the gin-driven menu features some of the best variations on classics you’ll find anywhere. Scofflaw features a cozy fireplace for those cold Chicago winters, and an exterior deck for when the nights start to warm up. The casual and refined ambiance is the perfect atmosphere to mingle over sophisticated drinks and small plates, many of which are under $10. A revitalized relic of post-Prohibition imbibing, this Humboldt Park gem feels more like a real bar of yesteryear than most others in the city. The big, round, deep booths are perfect for a weeknight catch-up with friends, and there’s enough room to really cut loose for a local show. Drinks are relatively inexpensive and there’s always quality live entertainment on the schedule. One of our favorite features here are the old-fashioned menu boards announcing the drink list as you approach the bar. These antique boards divide the selection into lighter and stronger fares, and are dripping with nostalgia for anyone over a certain age. Rooftop drinking is a favorite pastime of Chicagoans when the weather allows it, and no other place delivers the experience quite as well as Drumbar. This high-end, service-oriented establishment, located on top of the Raffaello Hotel in Chicago’s Gold Coast neighborhood, features smart, challenging cocktails made with unique spirits meant to leave an indelible mark on its patrons’ memories. The Drifter is a vagabond’s dream attached to the Green Door Tavern in Chicago’s River North. While the drink menu changes daily based on a fortune teller’s tarot deck, it’s always filled with delectable concoctions fit for drinkers from any walk of life. The Drifter is also known for its sporadic live music throughout the evening, curated by entertainment director Michelle L’Amour, and featuring some of Chicago’s most interesting performers. One of Al Capone’s favorite haunts during the days of Prohibition, this cash-only uptown jazz lounge is a Chicago must-see. The drinks are period perfect, from the orange-and-cherry Old-Fashioned to the Dirty Martini your grandmother would have sipped in her heyday. This club, which was once owned by Jack McGurn, a gunman in the St. Valentine’s Day Massacre of 1929, was restored in the mid-’80s after falling into disrepair. Patrons can enjoy jazz or comedy seven nights a week for a cover charge between $4-$15. The Matchbox is a tiny West Loop legend that has been in business for nearly 75 years. The cocktail menu is classic and features meticulously-prepared drinks in large portions and at lower prices than nearly anywhere else this close to downtown. The bar tapers from a max width of 15 feet down to a intimate 3.5 feet towards the south end, leaving just enough room for the people sitting at the bar, and for patrons squeezing by in the hallway behind them. Walking up to a place this small in the dead of winter filled with huddled revelers is a quintessential Chicago experience. Punch House is a small cocktail lounge in the basement of Pilsen’s Thalia Hall. This hip bar is styled in a mid-century resort-like aesthetic, and has one of the coolest secret doors since Scooby Doo. The drink menu, as you can probably guess, is punch-driven. You can order underappreciated stalwarts of cocktail history served in a full-sized punch bowl, in a carafe that’s perfect for two, or by the glass while listening to some of the best DJs in the city. Barrelhouse Flat combines intimate dining interiors upstairs with an impressively staffed and decorated bar on the first floor, delivering a top-tier experience for diners in Lincoln Square. The menu is a scrupulously curated list of classic cocktails that includes standards as well as more obscure (but equally delicious) fares, all made with the utmost skill and attention to detail. This North Side fave is tucked into the small avenue next to the Morse train stop in Rogers Park, in such a way that it feels solidly embedded into the neighborhood. The drink menu has an impressive list of rotating, often seasonal cocktails that are all under $10. A favorite of the moment is a smoked cocoa Old-Fashioned that features Pearse Lyons Reserve Malt American Whiskey, Cocchi Americano, and smoked chili bitters. Vintage furniture and subtle lighting give the space a casual atmosphere, and allow patrons to feel equally comfortable socializing or engaging in their own endeavors. Further emphasizing the community feel, owners Erik Archambeault and William Meek have a dog-friendly policy for neighbors who want to bring their furry friends. A neighborhood staple for over a decade, this Logan Square cocktail joint serves traditional recipes against a backdrop of black and white crime-scene photos and pre-’50s jazz. The photo booth and handheld shuffleboard game are fun pieces of history that feel transported from an old episode of The Twilight Zone. Weegee’s is great with friends, but it’s a treat to come alone—the patrons aren’t shy, and there’s always a seat at the bar. Drinking at the Berkshire room in the restored ACME hotel feels like being served cocktails inside of an ethereally-lit marquee. There are several standouts on the menu, but the star of the show is a cocktail called the Weston, which features wheated bourbon, coffee bitters (produced with beans from local Dark Matter Coffee Roasters), and smoke from a tobacco pipe. The highly-trained staff churns out dealer’s-choice cocktails tailored to guests’ tastes, that are guaranteed to please even the most finicky drinker. Classic barrel-aged Negroni and Manhattan cocktails round out their short but impressive menu. Maria’s on 31st street looks, at first glance, like a neighborhood storefront serving craft beers from fluorescent-lit coolers. Further inspection, however, reveals a beautifully decorated cocktail and beer bar that is a favorite second home for everyone in Bridgeport. This family business in the South Side serves four cocktails on tap that are refreshingly carbonated, and make for the perfect finish to a long bike ride or a day of eating and shopping in Pilsen. 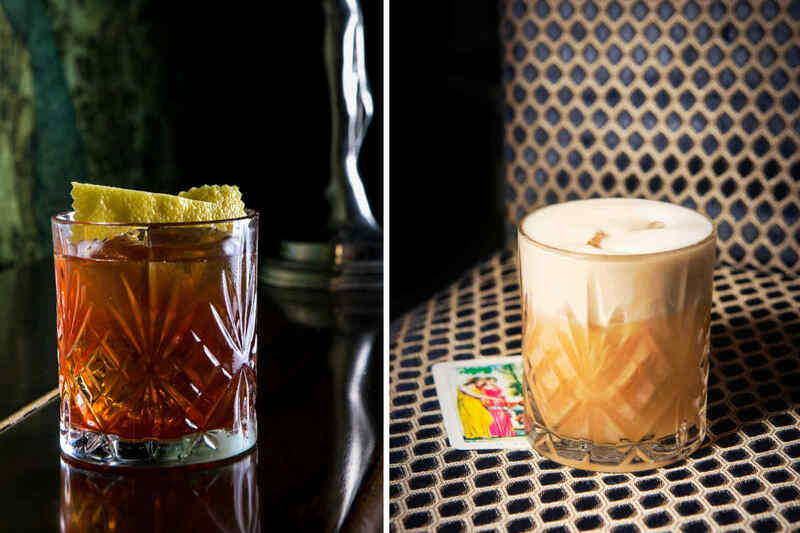 Billy Sunday has one of the most creative cocktail programs in the dense Logan Square bar scene. Head barman Alex Bachman achieved this by combining unique flavors like goji berry, wild cherry bark, and dandelion with excellently selected glassware, skillful presentation, and a superb collection of unique and vintage spirits. The bottled boozy sodas are a great, light way to enjoy the creativity and craftsmanship that continue to make this place stand out. This corner bar at the intersection of Southport and Irving Park is a secret gem nestled into the space between several different North Side neighborhoods. It offers a rotating list of reasonably-priced classic cocktails and original recipes created with fresh ingredients and local spirits by General Manager Ardit Dizdari. They have live jazz several nights a week, and one of the best brunches in Chicago. When the weather warms up, the patio and proximity to Wrigley Field make Sip the perfect place to grab a meal before or after an afternoon Cubs game. The Whistler is the place to go for an inexpensive (but quality) cocktail and a great show. Performances here are nightly and feature some of Chicago’s most innovative DJs and performers. Somehow, the crowd here manages to be inviting rather than intimidating, making it easy to strike up a conversation between sets on the outdoor patio. You won’t find a sign outside though, so look for an out-of-place art installment on the otherwise forgettable block, and a good time awaits beyond its facade. So, there you have it—the best bars in Chicago according to Bevvy. Since we’re sure we missed some great spots and made plenty of you mad for omitting your favorite, feel free to heckle us in the comments below. Update (3/9/16): Thanks to our discerning readers, we were made aware of a few errors in our original neighborhood listings. They’ve since been corrected and updated. 9 Comments on "The 21 Best Bars in Chicago"
Hey WMM, thanks for the notes! We definitely made a few errors in the neighborhood names, which we just updated this morning. Our Chicago staff (who wrote this piece) double-checked with their drinking buddies and made a few other corrections in addition to the ones you pointed out. Yeah, there’s no way this was written by anyone who’s actually been to Chicago. I’ll just add that Barrelhouse is nowhere near Lincoln Square. The Milk Room looks very cool, I wonder how long the waiting list is though? Gotta stop at duck inn and have a cocktail. Plenty of classics and many new things to come! If you’re traveling all the way to punch house and Maria’s you have to do duck inn. It’s right in the middle. How does a place like Roger’s Park Social make the list but not Revival Social Club just a few stops away? They have a broader selection, more variety, and dare I say a superior cocktail program. Odds are this is a paid for list if I had to guess? Why denigrate one bar in your pursuit for inclusion of another? That’s just rude. Rogers Park Social is a treasured neighborhood gem. Their cocktail program far exceeds Revival’s and continues to receive rave reviews. That’s another thumbs down for your tacky comment. Hey Arthur! This list simply reflects the opinions of our Chicago staff, so we figured there was bound to be some disagreement with the choices. For the record, this is NOT a paid article. We have a very strict policy about paid content—we’ve never done it, and if we ever do we will make it very clear what it is upfront.